WILTON, Conn. -- What police feared might be a distress signal from a downed airplane -- sparking a massive search in Wilton on Tuesday night -- turned out to be from a Breitling watch in the company's office. Just after 6 p.m. Tuesday, Connecticut State Police notified Wilton police they had detected a distress beacon that they believed may have come from an airplane in the area of New Canaan Road and Old Boston Road area. Wilton police and fire department personnel responded, along with 23 CERT members and seven New Canaan Police officers, their K9 unit and a New Canaan Fire Department engine. They searched the area, including the 2nd Taxing District water reservoir, police said. But after three hours, the search was called off, police said. Shortly after 3 a.m. Wednesday, State Police again contacted Wilton Police to report a second distress signal had been located in the area of Old Huckleberry Road. This time, four police department units and two Wilton Fire Department units were dispatched. After searching for one hour, they called it off, police said. At 6:30 a.m. Wednesday, State Police told Wilton Police they had found the source: It was a distress signal coming from a Breitling watch. Police said the distress signals came from a watch located at Breitling USA's office in Wilton. 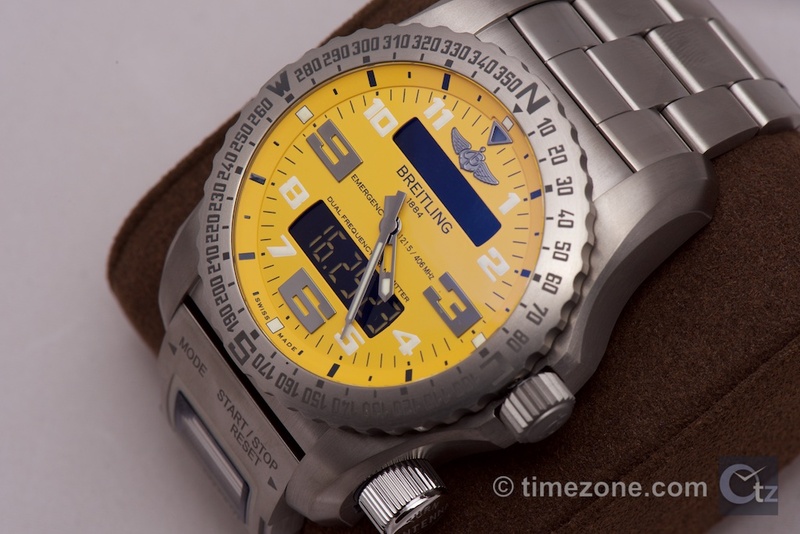 On the company website, Breitling describes the "Emergency" model as the world's first wristwatch with a built-in dual frequency Personal Locator Beacon. The Emergency serves both to issue alerts and to guide search and rescue missions. The Breitling headquarters is located at 206 Danbury Road/Route 7 in Wilton. Next Topic: B50 - long term reports?